A glam life is gone. 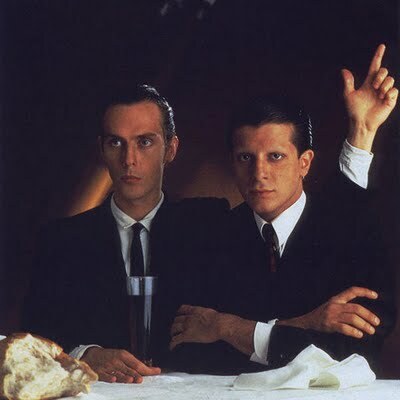 Mick Karn, former bassist and sax player for the band, Japan died earlier today, after a battle with cancer. He was 52. Buddha watching over Mick. Photo by bandmate Steve Jansen. Part of the glam rock era of the early ’70s which included most notably Roxy Music and David Bowie (when Ziggy played guitar), Japan came to be in 1974 in South London. 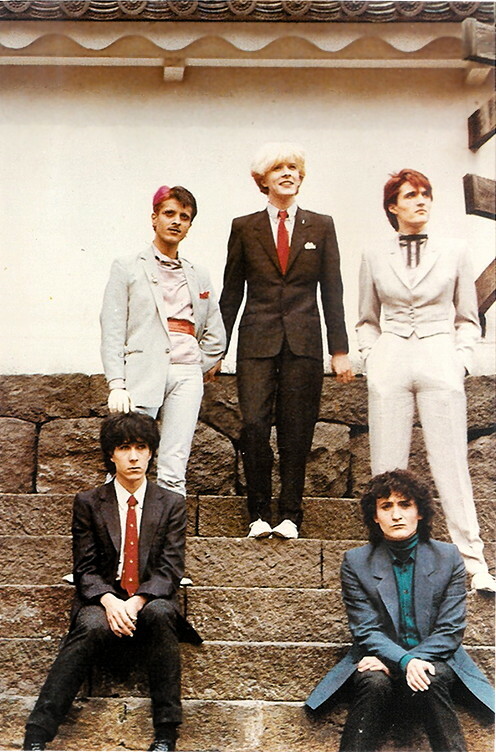 They were sometimes grouped with the New Romantics and sometimes referred to as a Roxy Music tribute band. In my opinion, both bands had a distinct sound and I have always seen them as two separate entities. 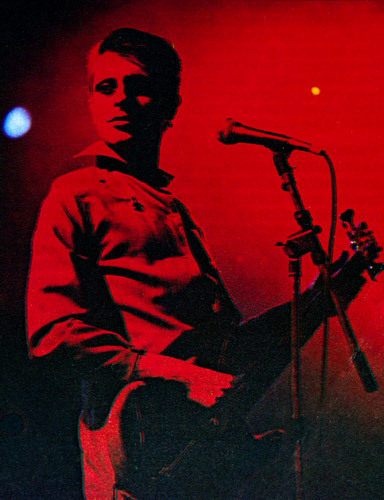 My heart will always belong to Bryan – Roxy was my one of my first loves, but I couldn’t ever think of that time of my life without the presence of David Sylvian, Karn and their bandmates. Japan, 1981. 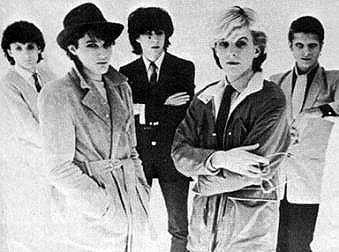 Trail-blazers - Karn, Sylvian, Steve Jansen in back, Richard Barbieri and Rob Dean in front. 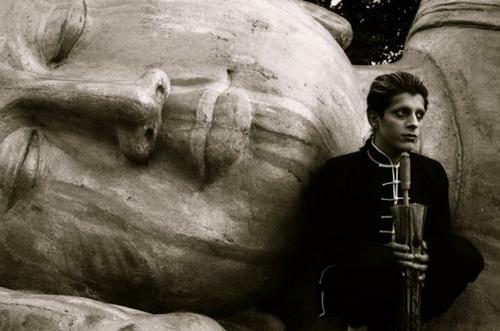 Japan’s sound involved layers of lush keyboards, Sylvian’s haunting voice and of course, Karn’s defining basslines. Those basslines are as much a part of the band’s identity as the vocals. Extended remix: Japan in 1978. Mick's the one with the orange extensions. A band known for colour, looks surprisingly good in black and white. I will remember those big deep-set eyes outlined with liner the most, I think. Karn always added a bit of goth to the glam. Karn, at the final UK gig at the Hammersmith Odeon, 1982. Photo by Chris Dorley-Brown. Their look and their music had a wide influence on the bands of today. I thank him for both inspirations – and for the clarinet on Night Porter – a song that still gives me chills each time I hear it. 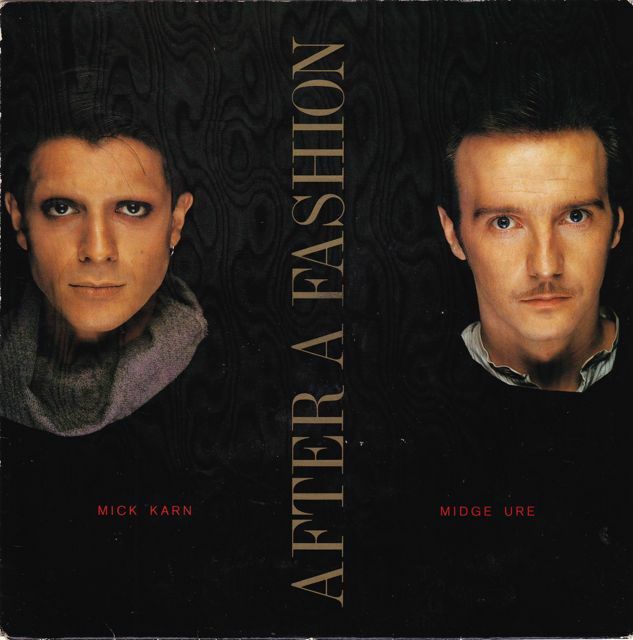 After Japan disbanded in 1982 (their final gig was fittingly in Nagoya, Japan), Karn went on to other projects including forming little known band, Dali’s Car with Peter Murphy (formerly of Bauhaus), as well as working with Midge Ure (formerly of Ultravox) on an even more obscure record. He and Sylvian worked together again in 1987 on this track, When Love Walks In. It’s a classic collaboration between two friends. 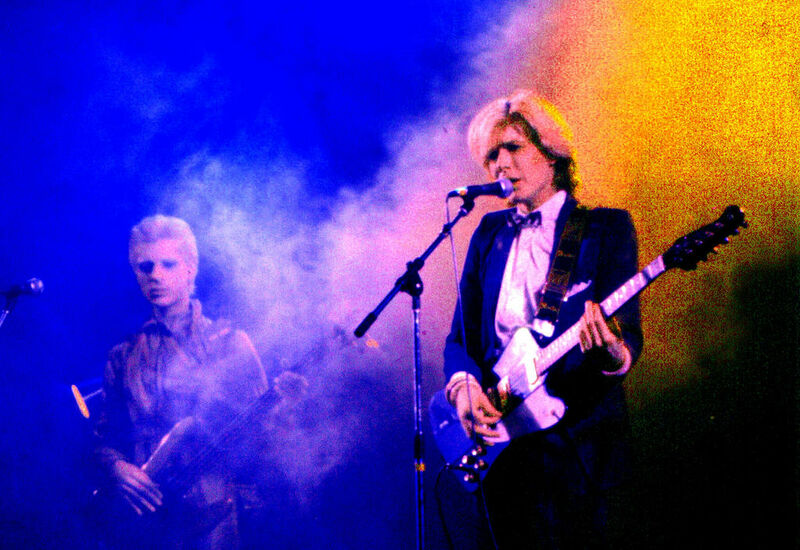 Karn and Sylvian at the 1979 Toronto show at the Ryerson Theatre. Regret not being there? I second that emotion. Adieu, mate. Thanks for the beautiful music you left behind. 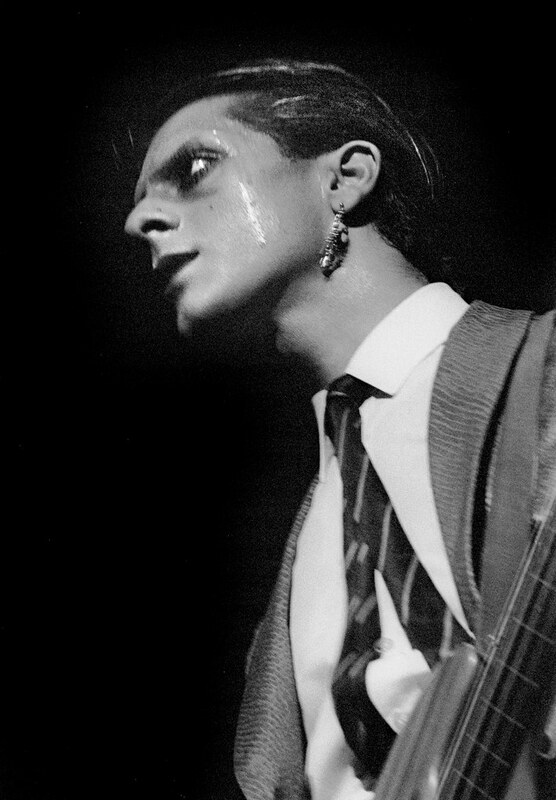 Mick Karn: the bassline for future generations of bass players. Image credits: Buddha and Red Karn courtesy of Lastfm. All group Japan shots courtesy of Nightporter – a great site for all you Japan junkies. Karn at UK gig by Chris Dorley-Brown. Toronto 1979 shot of Karn and Sylvian by Jean-Luc Ourlin. Ure/Karn cover. Dali’s Car.